The US Kids Yard Training Club has been designed to be flexible, extremely easy to hit and encourage kids to hit the ball properly. US Kids have used a super lightweight graphite shaft which is flexible that will allow kids to enjoy hitting golf balls. 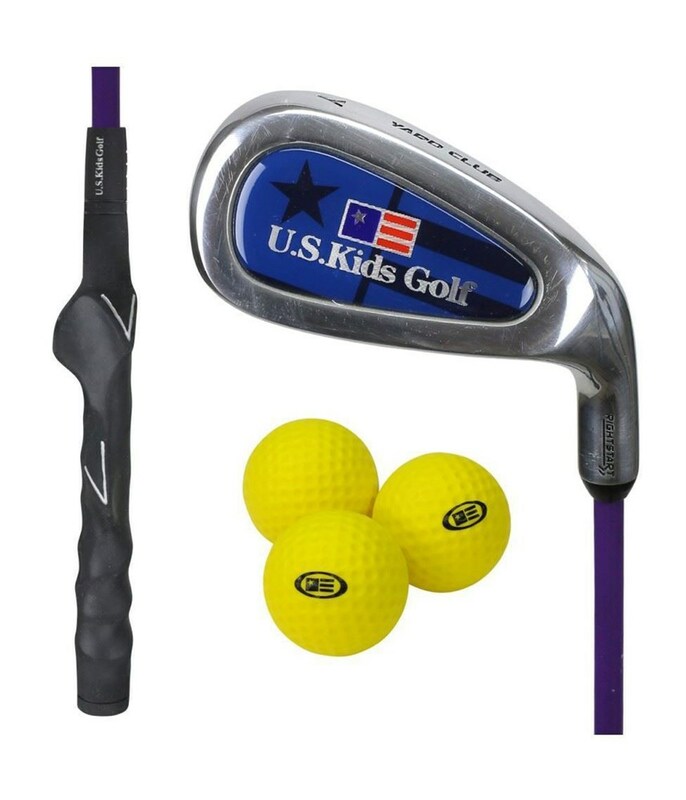 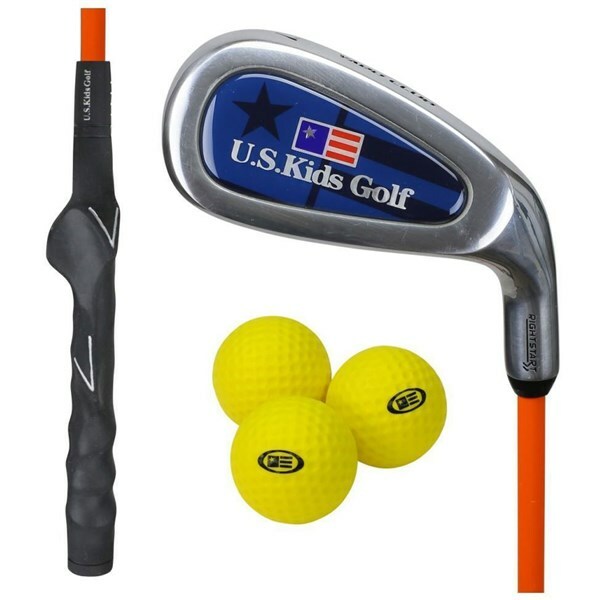 The oversize head design of the US Kids Boys RS 39 Yard Club makes it extremely easy to use and hit the ball straight. The moulded grip will train you the correct way to hold the grip so that making a proper swing is much easier. Three Yard Balls are included in the pack so that you can hit them in the back garden for practice, the club is also designed for real ball usage. Suitable for both young boys and girls.